The St. Josemaria Institute’s 2016 Fall Conference: Recognizing God’s Mercy in Suffering was a special Year of Mercy conference to reflect on the ways that God allows and transforms suffering to open our hearts to the grace and mercy of Jesus Christ. We recorded the entire conference and are excited to now offer the video and audio recordings for instant viewing, listening, and download. In this two-part presentation, our featured speaker, Fr. Richard Simon, helps to answer the tough questions about the meaning and value of suffering, in our own lives and in the world today. The St. Josemaria Institute Conference Video Collections are perfect to watch at home or to bring to your small group. It is a helpful resource for parishes and religious education programs, especially for catechists. We are thrilled to share this video collection with you because we know that you can help to bring these messages into your life and impact those around you. Fr. Richard Simon was ordained a priest for the Archdiocese of Chicago in 1975. 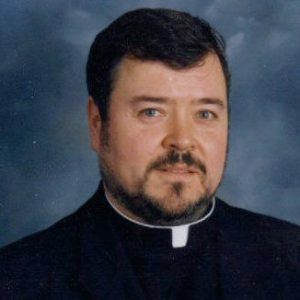 He is the pastor of St. Lambert Parish in Skokie, IL, and the regular host of Relevant Radio’s “Fr. Simon Says.” Fr. Simon taught Greek and Latin for 25 years and his expertise is in apologetics with a concentration on the early Christians. Your one-time payment of $20 gives you unlimited access to both the video and audio recordings. Expertly recorded and edited so that you can watch the presentations or listen to them on the go! The sale of these recordings help to support the mission and ongoing programs of the St. Josemaria Institute. Please note: The video recordings were included with registration for anyone who registered for and attended the 2016 Fall Conference on September 10th, 2016. If you did not receive your exclusive link and password, please contact us at info@stjosemaria.org or 630-541-9742.